Some drinks are concocted after long meditations and elaborate experiments. Berries are handpicked with extreme care; the essence is extracted without drawing the bitter components, distilled through a cumbersome process, and stashed away in casks deep down the earth for a painfully long period for maturation. After centuries of trial and error the final drink is perfected. But a rare few are stumbled upon. Like the Norwegian Linie Aquavit. When in 1805, Heinrich Meincke and his sister Catherina Lysholm, loaded a brig with stockfish, ham, cheese and a few casks of Norwegian alcohol, aquavit, distilled from potato, they had their eyes set on the prospects of selling a few kicks to the distant country, Indonesia. Indonesia, with different drinking customs, did not warm themselves to the new cargo drink which came from Scandinavia. The casks were promptly returned to their home. As soon as the brig reached back to the Norwegian shore with the aquavit, the barrels were extracted, and the content was sampled again. A magic had happened! There occurred a sea change to the taste of the aquavit that the Norwegians had sent from their shore. This was different. Yummier. Soon the Norwegians fell in love with the new taste. What could have unlocked the hidden chambers of taste in the Aquavit they were so familiar with? So in 1891, as soon as Jrgen Lysholm, the nephew of the siblings who sent the first aquavit abroad, founded his first distillery he deliberately began to ship barrels of the drink across the ocean. There was absolutely no other destination for the aquavit on the ship’s deck. They only had to travel. And come back. 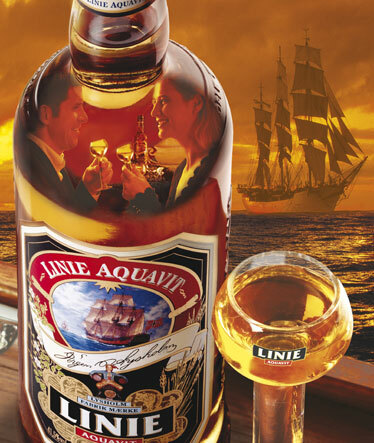 Two hundred years have passed since the first voyage of Aquavit. Come to Norway now. You may catch in its ports a few ships, waiting with their decks lined up with casks of aquavit. They are set for the transatlantic voyage, to take their contents two times across the line (Linie (Norwegian) means line, equator). Don’t fancy any ports anywhere else in the world where this cargo would be unloaded; this drink has only one destination – back home. During the next four and half months, the ships will take them to the distant shores of Australia, they will brush past 35 countries and cross the equator two times, before their prow turn homebound. 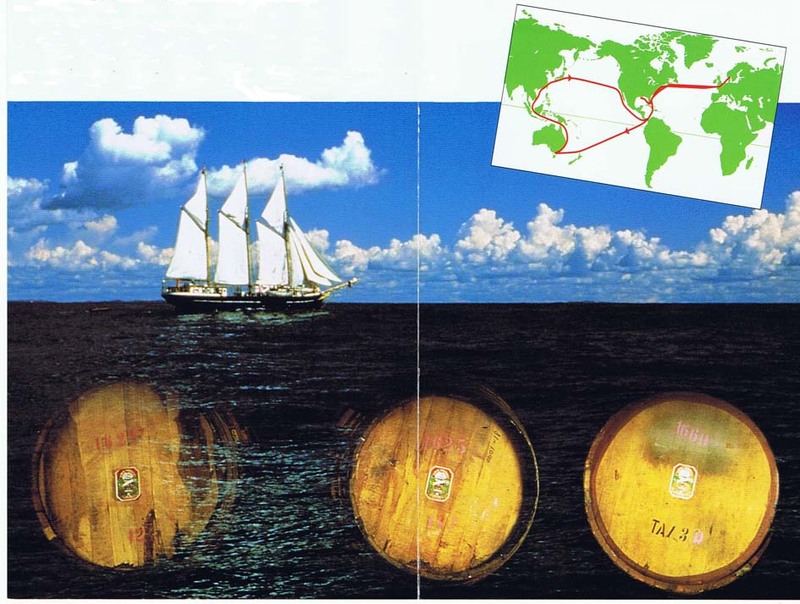 By the time the ships reach home, the liquid in the casks might have run through a range of seasons – the frigid Nordic winter storms to the tropical heat at the equator. 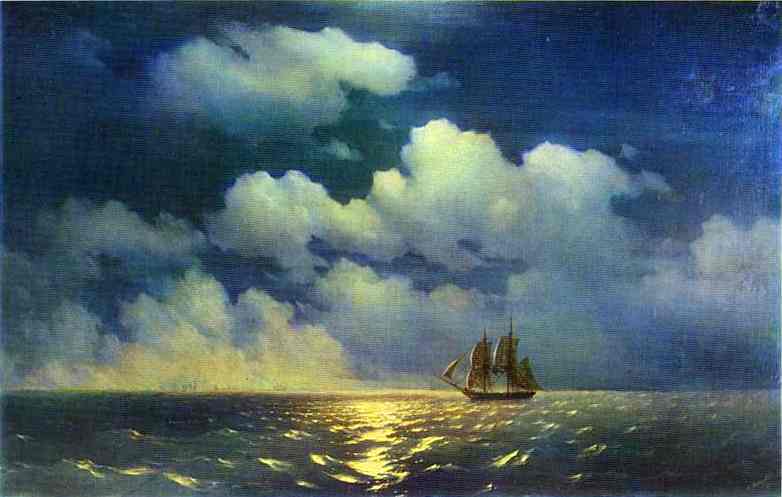 The freezing cold in the south and the steaming voyage under many chastising suns would have mellowed the drink. The variations in temperature, the sea air and also the pitching of the ship over the brutal waves which swirl the liquid in the casks will all take their toll on the final taste of a bottle of aquavit. When you get a bottle of Linie Aquavit, read the log recorded on the back of its label. The detailed schedule of the journey it undertook, and ports where the ship had docked before it came to your hand are all noted in detail on it. Dates included. Every sip is guaranteed to leave traces of a long voyage. Norwegian aquavit, distilled from potato, is infused with many herbs and spices like caraway which have medicinal value. The barrels storing the spirit must be previously used for storing sherry. They give a rich, rounded flavour, with aniseed, caraway and oak giving complexity. The barrels will give aquavit its golden colour, and the residual matter of the sherry will give its pleasant sweetness. Magic will be provided by the sea. Sip the drink, forget the land under your feet, feel the rumbling of the ocean. NB: A thousand Linie Aquavit casks are maturing as deck cargo on the seven seas around the world at any given time. Even as you read this.